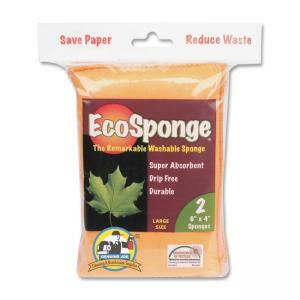 Drip-free sponge outperforms and outlasts ordinary sponges. Durable sponge is covered in natural, machine-washable and durable fabric. Sponge absorbs more than 15 times their weight in liquid. Design makes the sponge tough enough to scour and scrub yet gentle enough to wipe delicate surfaces.